All beds come as standard with a High Quality Reflex Mattress. 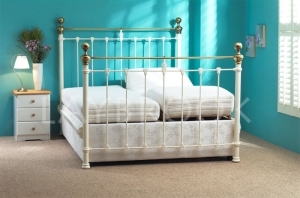 This is a stunning high end electric adjustable bed with ivory metal bedstead. 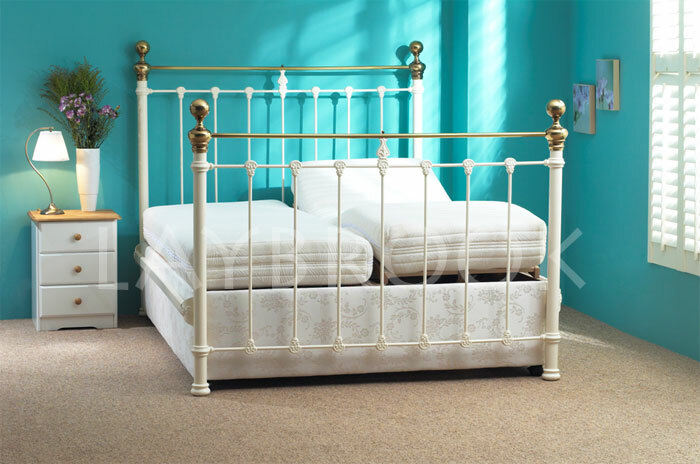 It comes with a Reflex mattress and has cast brass knobs (not spun brass) this again shows the quality and detail we put into our bed surrounds it comes as a single, double or dual fully adjustable bed for total support and comfort, beat that! Standard size for the Lismore is 22 inches from the floor to the top of the mattress. To make sure the height of your bed is correct when ordering, please measure your own first. We are able to alter your bed to a height of your choice, and all for an extra €95!